Hi freinds, you can use your IDM for lifetime with spending money on it. I searched and posted this content to help those people who are facing problems with IDM registration. 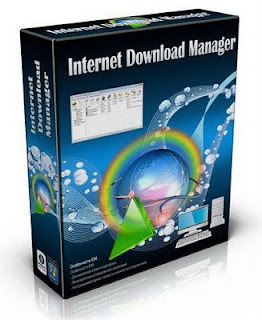 Follow my all below methods and easily use IDM for lifetime. Step 1: Download IDM from here. Or go to Registration option in installed IDM. In registration option. It will ask for serial number, name and email. Give any name and email adress. And use any one Serial number from below. Now it will show a Error that you idm is registered by a fake serial number. Below is the solution for that. Go to C:/ System3>Drivers > etc. In windows 7, the host file is unable to edit. But you can edit by simple below method. 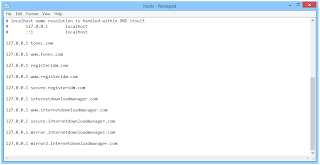 (windows 7 or vista): Right click on Hosts. Go to proerties>>Security Tab>> Admin Account. Click on Edit button and give User Full control for editing of hosts file. And click on save. Now you are able to edit Hosts file. After Editing Hosts file. Paste Below URLs in it. Now Click on save. And you are done here. 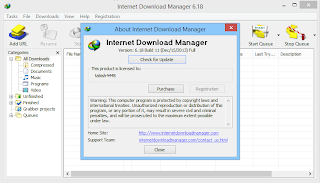 Now Your IDM is installed for lifetime. It will never give you any issue. If you have then contact me personly. Click on Patch. It will take some seconds and you are done.